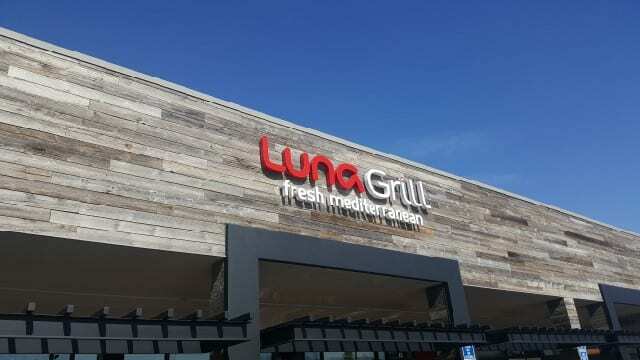 Luna Grill has locations throughout Southern California and Dallas, Texas. My friend and I made a stop at the location in Sherman Oaks before heading on the road to Santa Barbara. 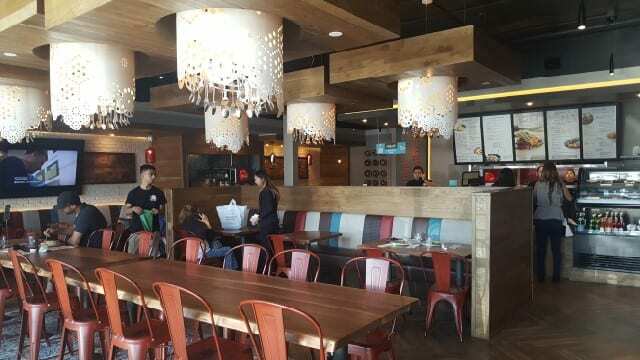 With a contemporary design, this fast casual chain featuring Mediterranean cuisine was a healthy, affordable, quick and tasty meal before hitting the road. 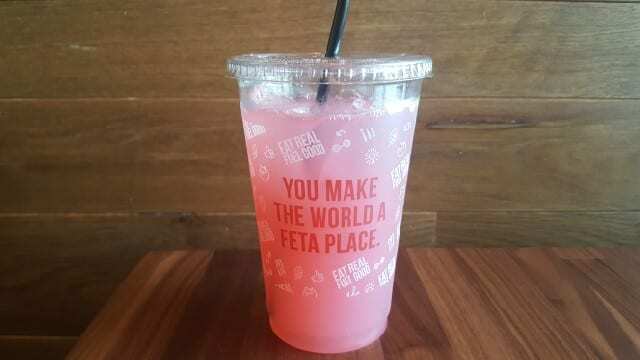 Luna Grill has a playful side as well and have managed to create fun phrases, such as “you make the world a feta place,” “your day just got feta,” “I’m falafel-ing in love with you” and “fuel good”, that are found on their t-shirts, in the menu and around the restaurant. For our lunch, we selected the Better Beet Bowl because, as they say, “you can’t beat the beets.” Beets are high in vitamin C, fiber and essential minerals, such as potassium and manganese so you cannot go wrong with a beet salad. 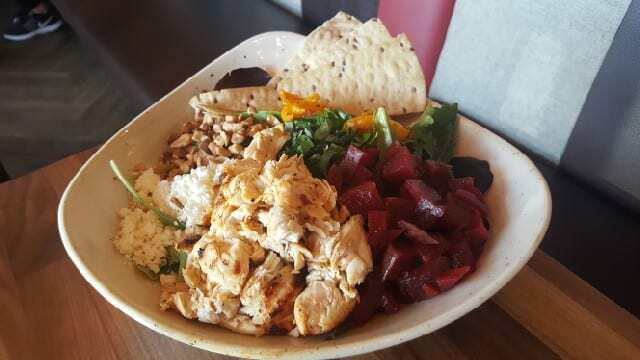 The Better Beet Bowl ($8.25) is a large bowl with organic Spring mix, beets, roasted yellow tomatoes, basil, beta, almonds and house dressing, you can choose to add freshly grilled chicken or falafel, as well as multi-grain lavash or pita. 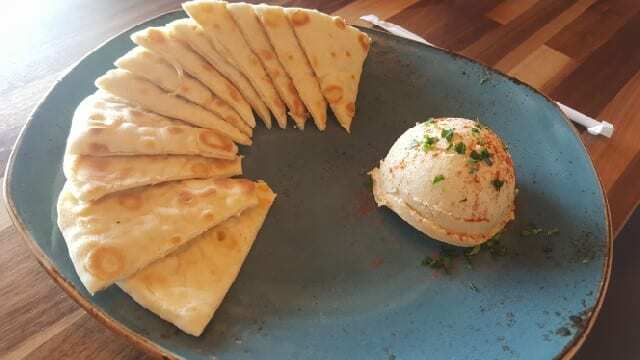 as well as a plate of hummus and pita ($4.75). 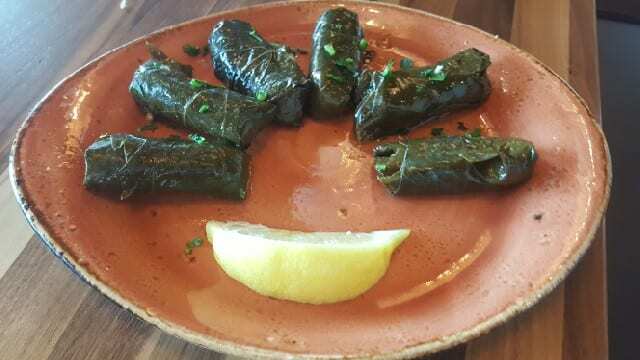 Everything is made in-house and fresh at Luna Grill and they are transparent about what is in each dish with calorie counts included on the menu. So next time you are looking for an affordable, healthy, quick and tasty lunch, try Luna Grill. Find a location near you. 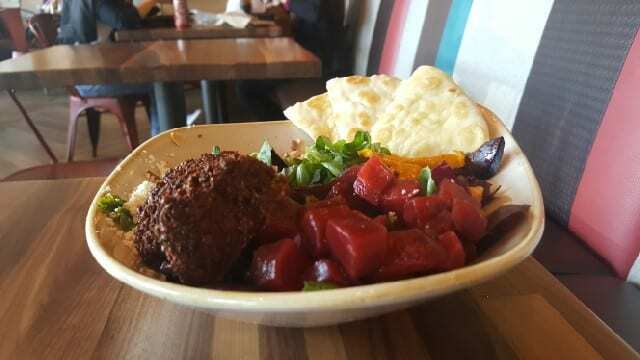 This entry was posted in Food, Lifestyle and tagged Better Beet Bowl, Fast Casual, food, healthy eating, healthy lunch, Luna Grill, Mediterranean cuisine by Allison Levine.